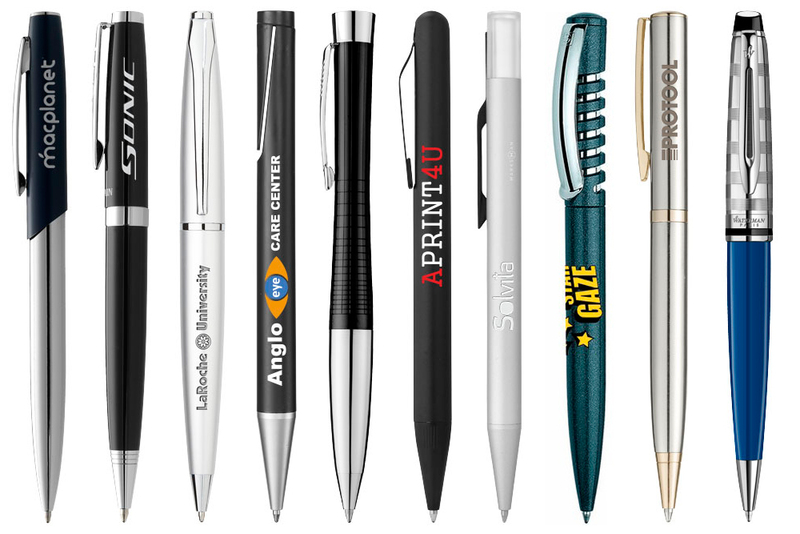 Writing instruments will always be one of the most popular promotional products, due to the usefulness of the item and the great brand exposure it offers. We offer an extensive range of writing instruments, from inexpensive promotional pens to mid-range, great quality brands to high end products such as Waterman and Cross pens that ensure to leave a great lasting impression on the recipient. We have a great range available, from stocked items for a quick turnaround, to the option of providing a bespoke service so that we build the pens in colours to compliment your corporate colours. We can even pantone match some pens to ensure a truly unique pen, made with the casings in your specified corporate colour.